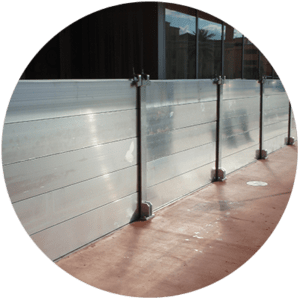 Rigidam | Flood Barrier Inc.
Rigidam is the most utilized flood barrier system in Florida, and has been successfully installed on over 2500 projects. 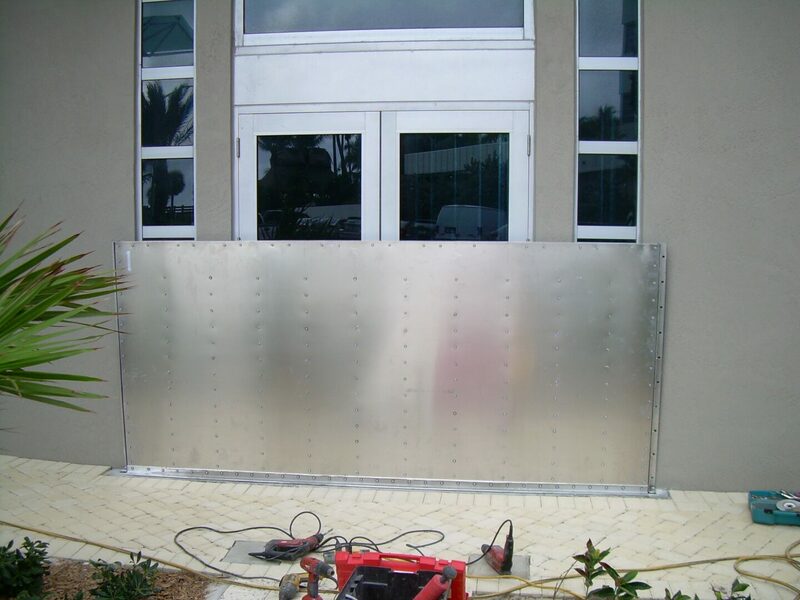 Rigidam is a hard panel, removable flood barrier system. The panels are constructed out of high strength aluminum components, and are edged by a gasket material that produces a water-tight seal. 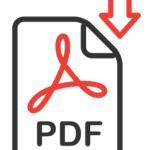 The system is attached to the structure by pre-installed anchors and screws, and does not require a permanent frame to be attached to the building. 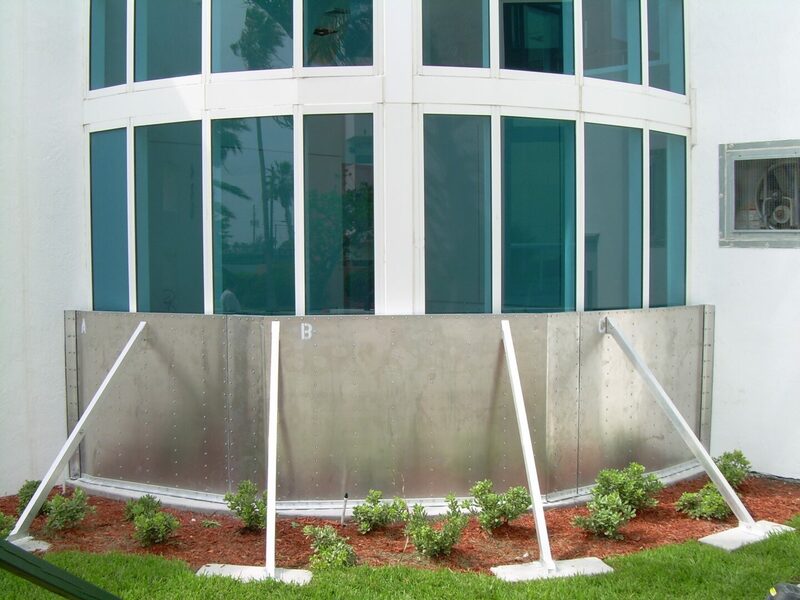 The barriers are designed to protect buildings up to a depth of 7’-6” of water, and individual panels can be joined together to cover any length horizontally. 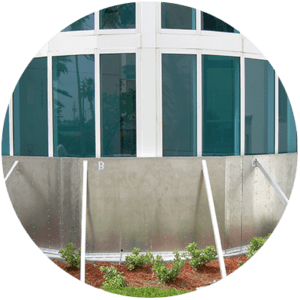 Rigidam has been engineered, tested and certified to meet or exceed the following building codes: Federal Emergency Management Associations (FEMA); National Flood Insurance Program (NFIP); Florida Building Code 2001 for High Velocity Wind (Hurricane Events). It is one of the few products on the market today that has been tested to meet these standards. 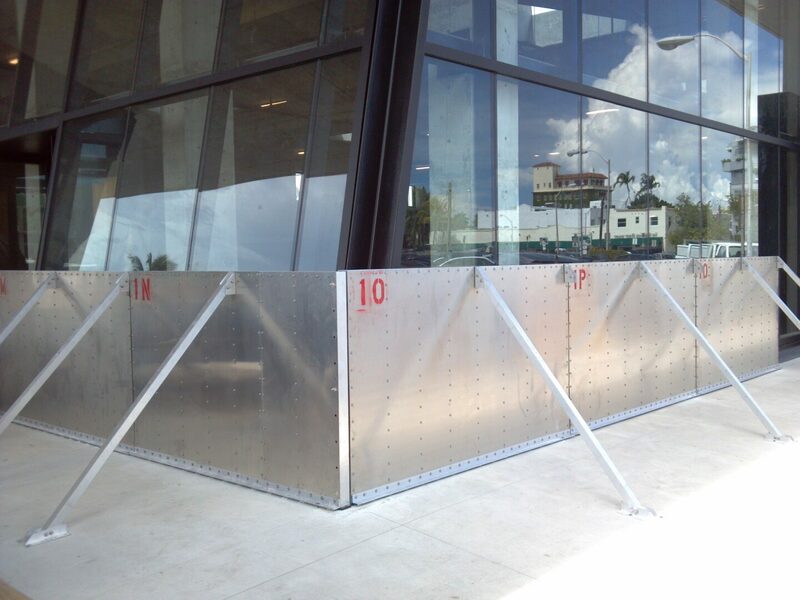 Rigidam is the most utilized flood barrier system in the Florida, and has been successfully installed on over 2500 projects over the eleven years it has been manufactured. 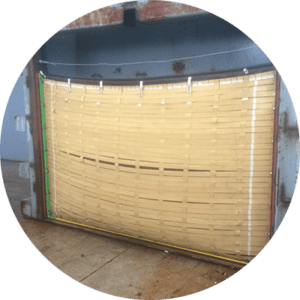 The Rigidam product is the currently the specified flood barrier product for 11 of the top 20 contracting firms in the United States. 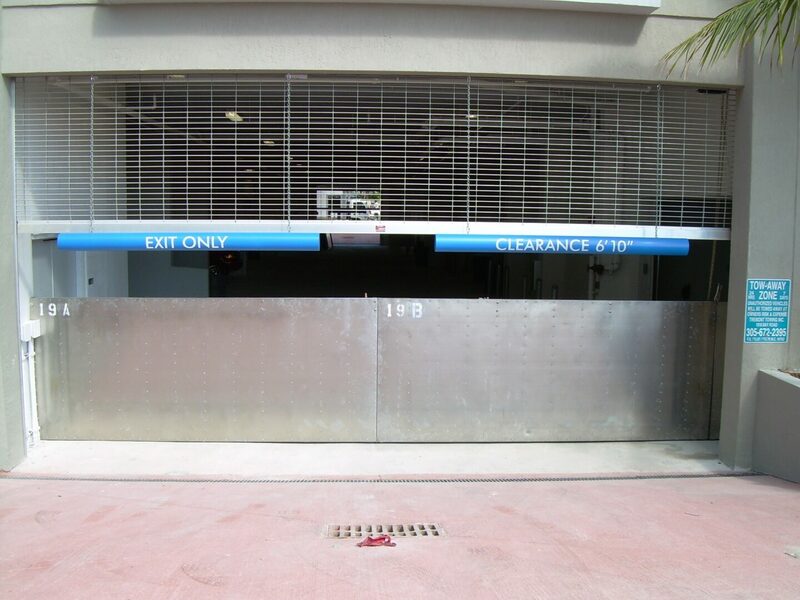 Rigidam, like most barrier systems, have strict tolerances requirements for the structure where they are being applied. To achieve a 100% water-tight seal, both the vertical and horizontal surfaces must be on a continuous plane with no more than 1/8” deviation. Utilizing good construction controls and practices these tolerances can be maintained to over any width of opening. We generally do not recommend application greater than 16 feet, but have completed installations of over 250 feet. 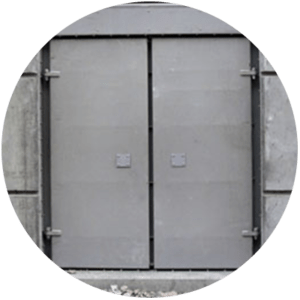 For openings greater than 16 feet, we recommend our Rapidam system, which is specifically designed for very wide openings. The average installation of Rigidam, in time of need, is 45 minutes per panel. The quantity of openings covered by Rigidam on a structure should be based on sound flood planning considerations. It is important to make sure that sufficient warning time and manpower consideration are used to calculate the maximum number of openings covered with Rapidam.